German Spitz are descendants of the stone age " Peat Dogs " (Torfhund) " Canis familiaris palustris R?thimeyer " and the later Lake Dweller’s (Pfahlbau) Spitz; they are the oldest breed of dog in Central Europe. Numerous other breeds have been produced from them. In non-German speaking countries Wolfsspitz are known as Keeshonds and Toy Spitz as Pomeranians. 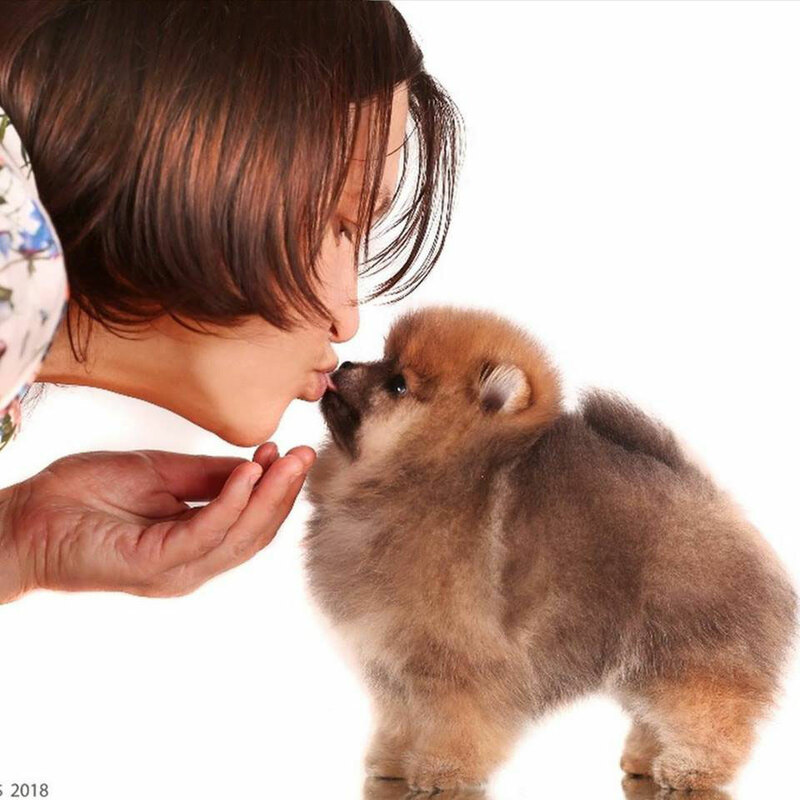 BEHAVIOUR AND CHARACTER: The German Spitz is always attentive, lively and exceptionally devoted to his owner. He is very teachable and easy to train. His distrust to strangers and lack of hunting instinct make him the ideal watchdog for home and farm. He is neither timid nor aggressive. Indifference to weather, robustness and longevity are his most outstanding attributes. Jaws/Teeth:: The jaws are normally developed and show a complete scissor bite with 42 teeth, corresponding to the teeth formula of the dog, i.e. the upper teeth closely overlapping the lower teeth and set square to the jaws. In Miniature-and Toy (Pomeranian) Spitz the lack of a few premolars is tolerated. Pincer-bite is permissible in all varieties of Spitz. Medium size Spitz: Black, brown, white, orange, grey-shaded, other colours. Miniature Spitz: Black, brown, white, orange, grey-shaded, other colours. Toy Spitz/Pomeranian: Black, brown, white, orange, grey-shaded, other colours. Grey-shaded Spitz Keeshond / Keeshond: Grey-shaded is a silver grey with black hair-tips. Muzzle and ears dark in colour; round the eyes well defined " spectacles " shown as a delicately pencilled black line slanting from outer corner of eye to lower corner of ear, coupled with distinct markings and shading forming expressive short eyebrow; mane and ring on shoulder lighter; fore- and hindlegs without any black marking under the elbows or stifles, except slight pencilling on the toes; black tip of tail; underside of tail and trousers pale silver grey. Other coloured Spitz: The term " other colours " covers all shades of colour, such as : cream, cream-sable, orange-sable, black and tan and particolour (with white always as main colour). The black, brown, grey or orange patches must be distributed over the whole body.